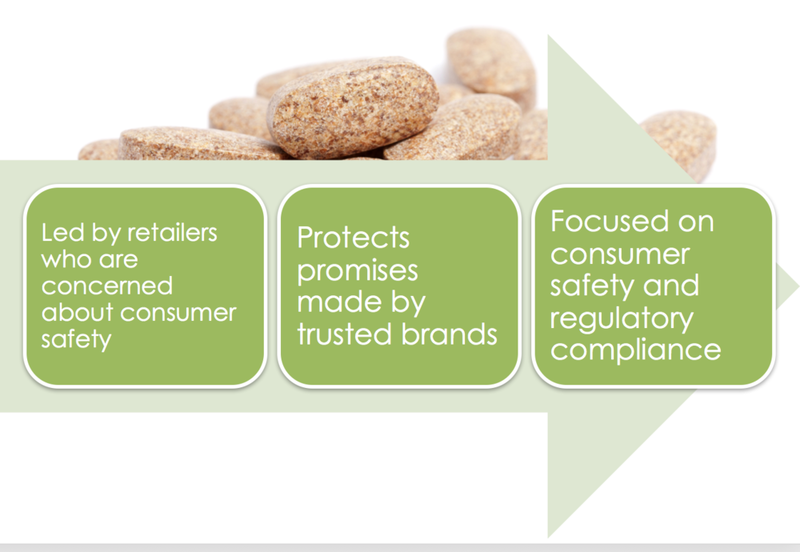 Our vision is that the Supplement Safety & Compliance Initiative (SSCI) will enhance the safety, authenticity, and regulatory compliance of supplements for consumer use worldwide. We recognize the growth of public mistrust and confusion about the safety and authenticity of dietary supplements. There is a lack of harmonization among retailer standards, and no real consistency of what is expected from manufacturers. Additionally there are many certification marks, which is confusing for the consumer. All add up to a misperception that the industry is unregulated and potentially unsafe. SSCI creates a management system to address the authenticity, safety, and regulatory compliance of dietary supplements through harmonized benchmarking to determine equivalency between various dietary supplement certifications and standards. SSCI will create a minimum standard of equivalence for all manufacturers to meet to be accepted into major retailers offering quality assurance from harvest to retailer shelf.